The Icecreamists pop-shop sought for a while to liberate the world “one lick at a time”. This required unusual inventions, the sheer quality of which attracted no less attention than their branding. 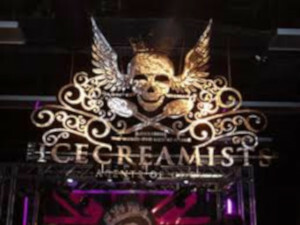 The founder of the shop and author of its book was ice cream aficionado and marketing guru Matt O’Connor. “Kings of Ice Cream, Masters of Controversy”. “Get a babysitter, The Icecreamists are back”.